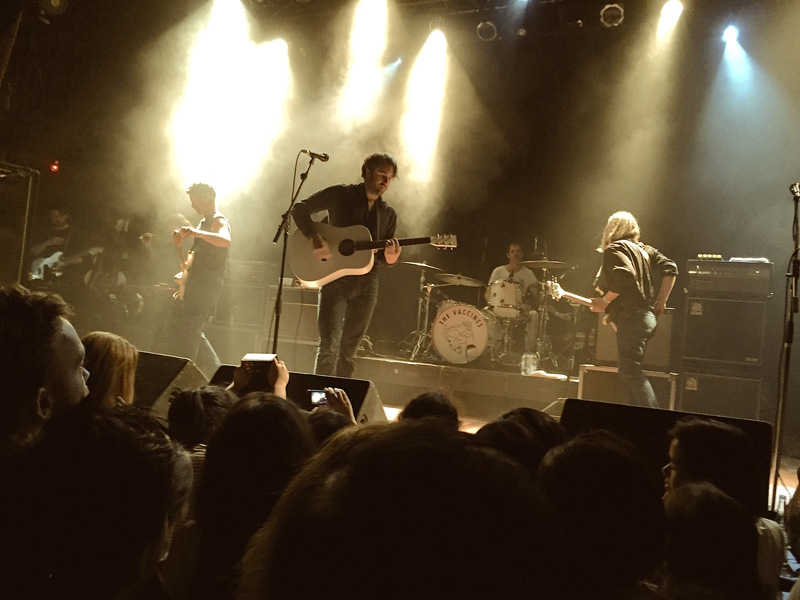 The British music press has gone nuts over The Vaccines and for good reason. They have managed to channel about four decades of rock and roll influence into a sound that is both familiar and fresh at the same time. Recently here in Toronto they put on a stellar show, with the mostly young audience singing along to material from all three of their albums (the photos here are from the August 28th show at the Opera House). Their first album, What Did You Expect from the Vaccines? (2011), has at least four standout tracks: “Blow Up,” “Wetsuit,” “Norgaard,” and “If You Wanna,” the latter with a killer poprock chorus. 2012’s Come of Age is a bit more stark, addressing Britain’s economic and social malaise in “No Hope,” “Weirdo,” “All in Vain,” and “Lonely World.” The album draws creatively from 1950s sources, particularly on the vocals for songs like “Lonely World” and “Teenage Icon”. In 2013 they released an EP, Melody Calling, marking a departure into a more dreamy pop style on the title track. This year’s English Graffiti takes all these previous elements but combines them into a more solid, confident sound, ranging from dreamy pop (“Denial”), to solid singalong fun (“Handsome”), to up front guitar riffing (“20/20”). Hard to pick out just a few things to highlight from their catalogue but here are two songs, one from What Did You Expect from the Vaccines? and the other from English Graffiti.